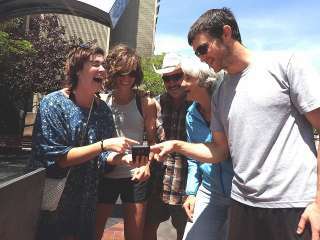 Save 20% on your Amazing Scavenger Hunt Adventure in downtown Asheville. Solve clues and complete challenges as you explore Asheville and discover the overlooked and unique nature of the city. Only $39.20 for your entire Team of 2-5 people after Promo Code EXPLOREASHEVILLE. Have fun with family and friends on this great outdoor adventure!